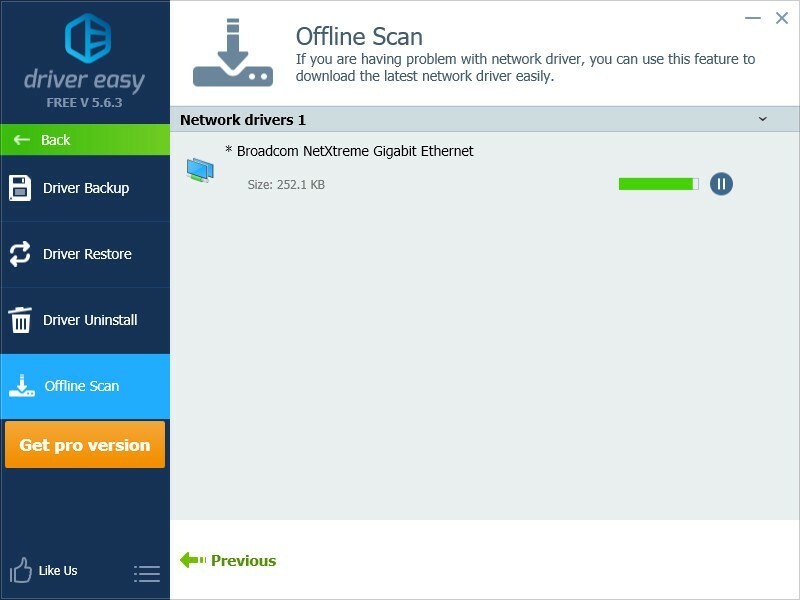 The Offline Scan feature of Driver Easy allows you to update your network driver when your computer can’t connect to the Internet. 4) Select Offline Scan and then click Continue. 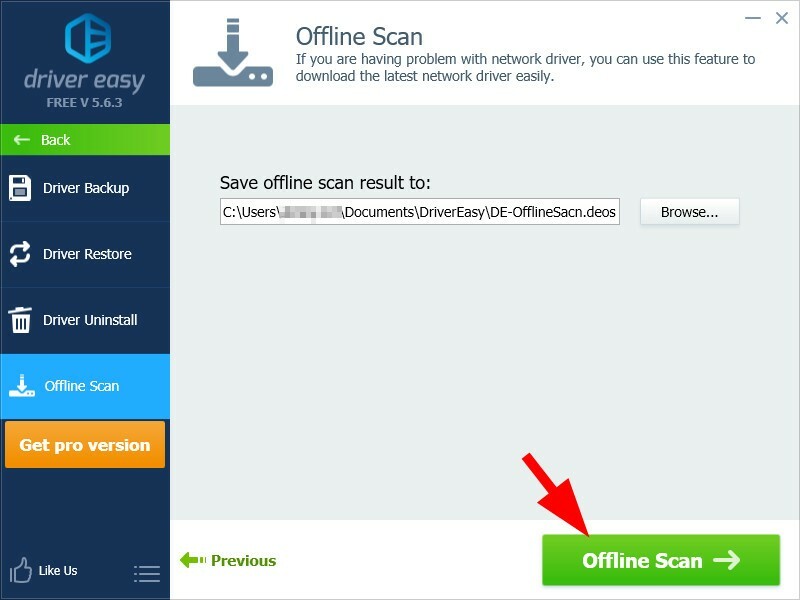 6) Choose where you want to save your offline scan result, then click Save. 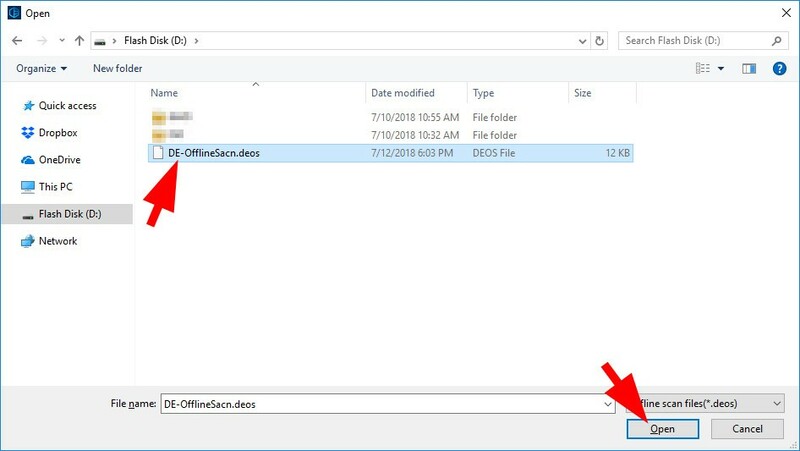 8) Click OK when the offline scan file has been saved. 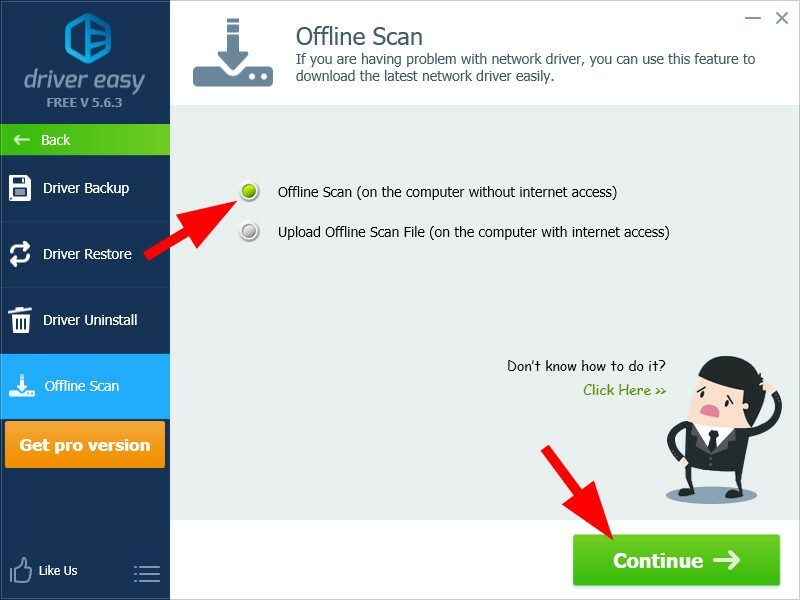 9) Copy the offline scan file and paste it to another computer that has Internet access. 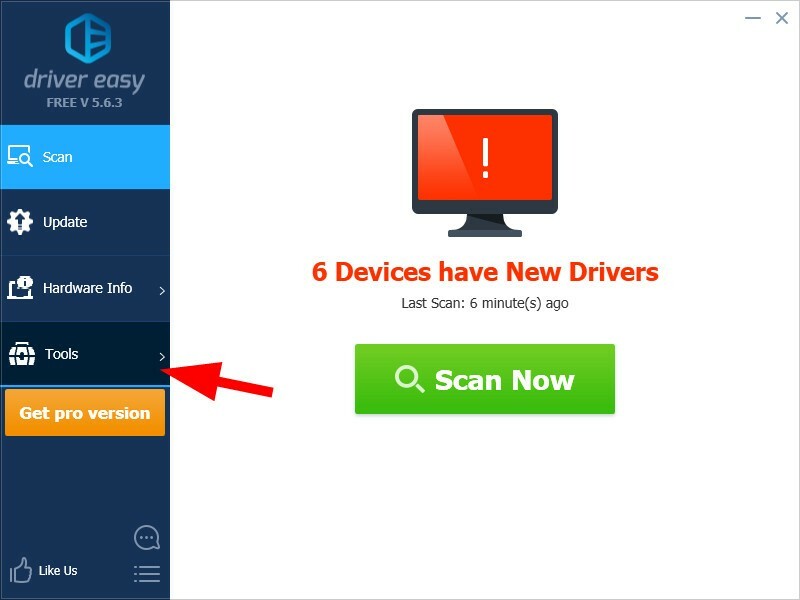 10) Download and install Driver Easy on that computer. 11) On the computer that has Internet access, run Driver Easy. 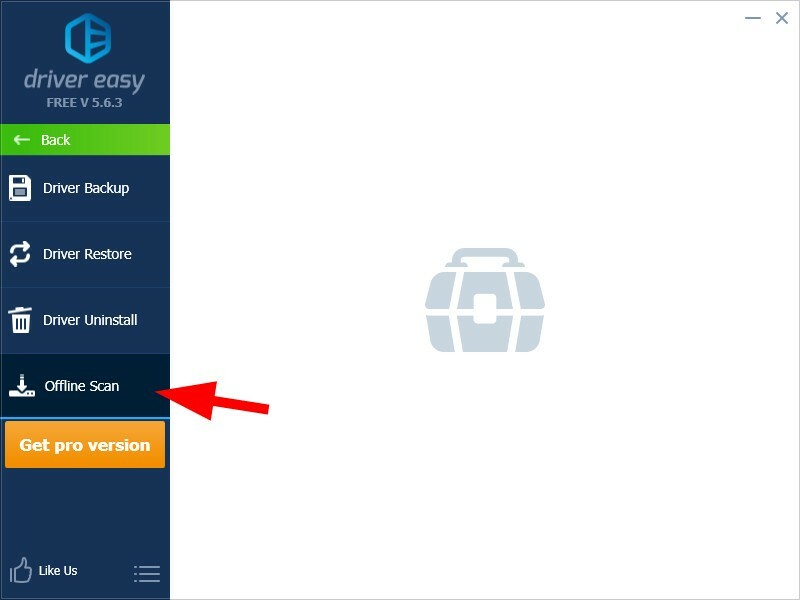 14) Select Upload Offline Scan File, then click Continue. 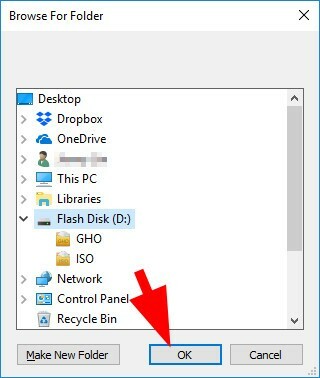 16) Go to where you’ve saved your offline scan file. Then select the file and click Open. 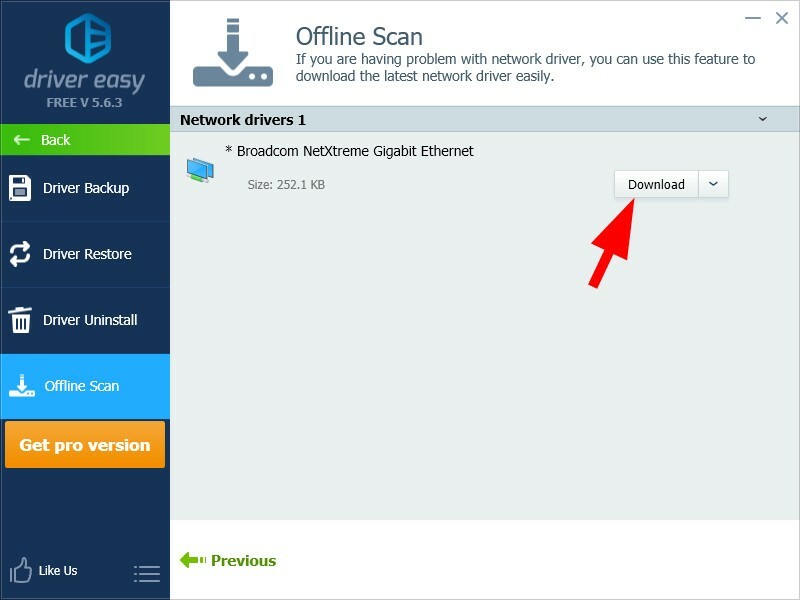 19) Choose where you want to save your network driver, then click OK.
20) Wait for the download process to complete. 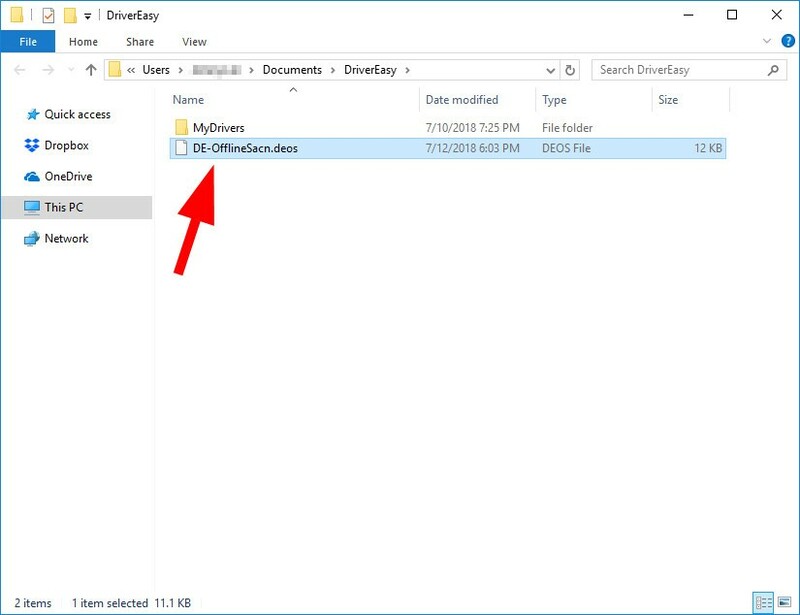 21) Move the driver file to your own computer that needs the network driver. 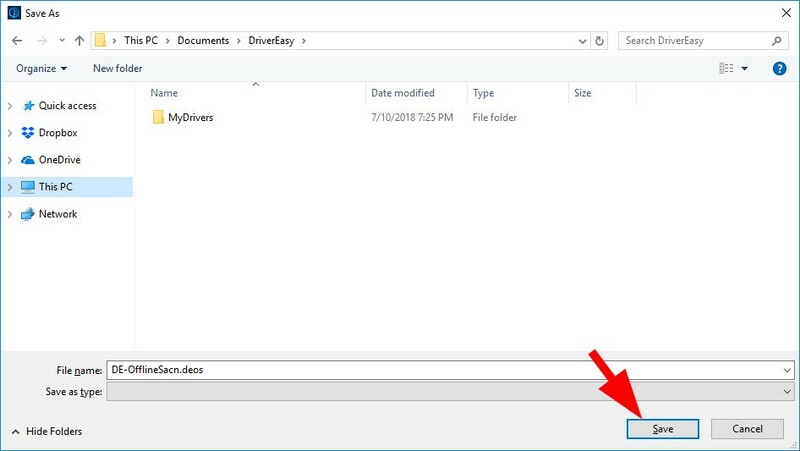 22) Open the driver file, then follow the on-screen instructions to install the network driver on your computer.